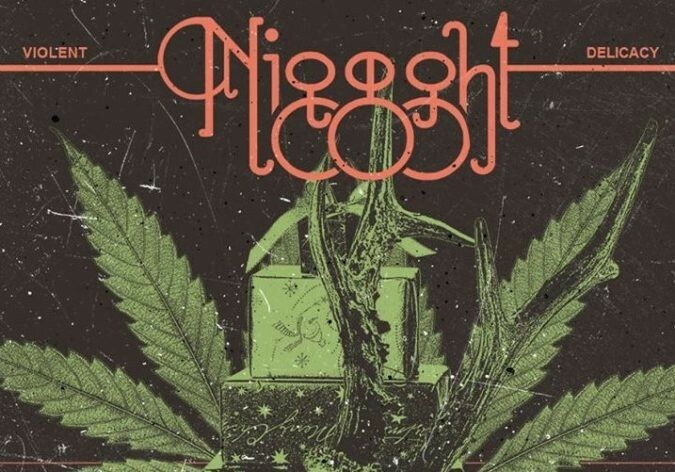 Montréal’s electronic psych-doom duo NIGGGHT – featuring the voice of Dopethrone, Vincent Houde – are set to independently issue their début release digitally next month. The ‘Violent Delicacy‘ EP will arrive March 22nd and finds guitarist / bassist / vocalist Houde joined by Double D for all drums, machines, and programming needs. The contents of the four-song EP finds the pair spewing a slow-oozing, filth ridden, no-fucks-given experiment in sonic sleaze. Damnable riffs, rumbling machinery, and acid-drenched vocals are cross pollinated and a work of perfectly orchestrated evil results from their labor. Check out the sinister new lyric video for the track “Leaving Here“, along with the previously shared “Rudolph“, and the album details below. You can visit the NIGGHT Bandcamp page [link] and get both of the tracks – currently as a NYP (Name Your Price) offering. The ‘Violent Delicacy‘ EP will be available on March 22nd.